Logan Square Pilates + Core. LSQP is an independent studio located at 2771 N Milwaukee Ave, offering private and group instruction in Pilates equipment, Pilates mat, barre and yoga. The studio was launched in mid-January by three Logan Square residents, including two of our very own clients! Pilate s h ractic pecifi ontrolle ovemen n reath. Wit ocu or n pinal suppor, the exercises uilds trength, lexibilit n ea uscl one. h mphasi engthenin h od nd alignin h pine, athe ha ulkin n hortenin h uscles. Why Logan Square Pilates + Core? LSQP is ommitte akin ilate ccessibl l odie u oga quar ommunit n upbeat, on-intimidating, ffordabl tudi nvironment, her ndividual eceiv h tmos espect an upport. Their mission is to ignite confidence and vitality in our community through the core principles of Pilates: concentration, control, center, position, breath and fluidity. 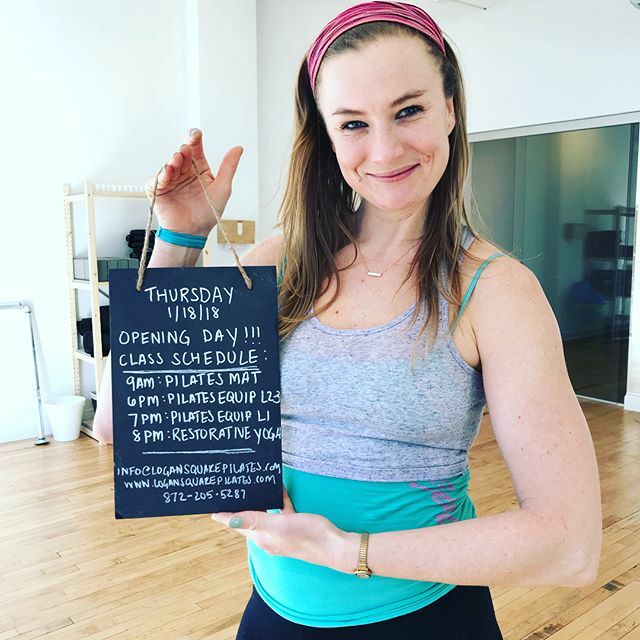 Free First Pilates Mat Class (code FIVEPOINTFLOOR). They will also be hosting an open house just for Five Point clients on Sunday, February 18th from 4:30-6pm. Contact Kristi at info@logansquarepilates.com to learn more and sign up!